Volleyball Hitting Drills - How to Practice Quick Offense? Volleyball Hitting Drills - How to Become Confident to Play Quick Offense? Explore volleyball hitting drills. How to learn quick offense? How middles and setters should work on their cooperation? How they can improve the timing? In order to see this page, you need a password. You get the password when you join the Friends' List and our newsletter subscribers. It is FREE to join! How Volleyball Hitting Drills Should Be Practiced? We have talked about the importance of running drills in the game context, just like skills occur in the game. 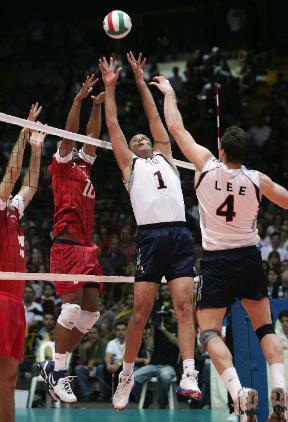 For example it is more beneficial to practice hitting from the setter’s set than the coach’s toss. How volleyball hitting drills are traditionally done? Often volleyball hitting is trained by somebody tossing the ball to the hitters. Or by feeding the ball to the setter who sets the ball to the hitters. Hitters have lined up and wait their turn to spike the ball over the net one ball after another. Volleyball hitting will become a complete different task when adding a real serve and pass into it. In order to learn hitting, we should practice it just like it occurs in the game. How we should practice volleyball hitting drills? So, it is important to run drills in the game context. However, things would be very simple if we could become a winning volleyball team just by playing. Sometimes the coach needs to focus on specific details of the game. Here is an example how to practice cooperation between the middle hitter and setter. Most of us have experienced the issues in running quick offensive plays in the match. Either timing may be difficult, or the setter and middle lack the confidence to run quick plays – especially if the pass if off the net. How to work on the timing and trust issues between the setter and middle hitter? How to Improve Timing Between Setter and Middle Hitter? A serving-passing drill is an excellent chance to work on cooperation between the middle and the setter because the servers force the pass off the net, or make passers run for a short serve, etc. No other hitters should be used, so the setter is forced to play the ball for the middle. Why to Use Middle Hitters Only? If there are other hitters on the court, the setters often choose an easier option and set other hitters when the pass is off. Now they can set the ball only for the middle. This helps the team to have one more offensive option when the pass is off in the match. Remember to add a block for the middle hitter. If the previous drill is too difficult for beginning volleyball players, here is a similar but easier option. 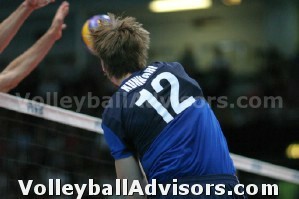 The volleyballs are hit over the net to the defending players. Defenders line up on position 6 (zone 6) to dig the ball up to the setter. The ball should be spiked hard over the net. This ball should not be too easy for the defenders since the pass should not be perfect every time in this drill. The purpose is to make the setter and middle really work on timing and building trust between them - and make them practice the scenario when the pass is off. After working on this drill successfully setters and middle hitters become much more confident to play the quick offense in the match.